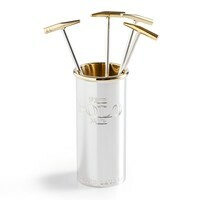 Large silver-plated cup: 7" H x 3½" W. Small brass cup: 5¾" H x 3½" W. Engraved with "The Polo Bar" at the top. Silver-plated brass, brass. 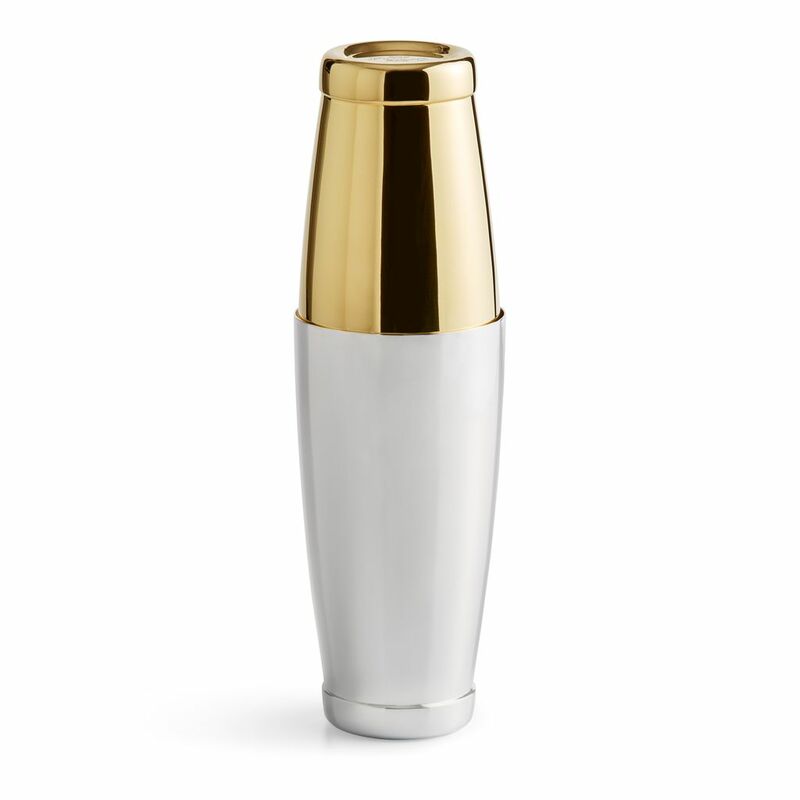 Silver polish recommended. Made in India. 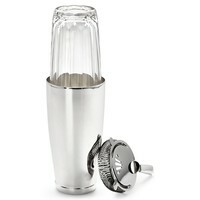 Strainer sold separately. 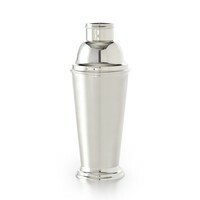 OVERVIEW This elegant take on the classic Boston shaker is modeled after the professional mixology tools used at The Polo Bar, Ralph Lauren's first restaurant in New York City.